Geography: Wales ,Gwent. Part of the Newport and Monmouthshire council areas. Main population centres: Newport, Caldicot, Magor. Profile: Newport grew up as a port during the nineteenth century, shipping the coal from the Welsh valleys. In the twentieth century the port declined and the largest employer instead became the steelworks at Llanwern, more recently the steelworks have closed and Newport has become a home for hi-tech industry. It became a city in 2002. Newport East contains the part of the city to the east of the Usk river, mostly residential suburbs and council estates, and the rural area to the east. This includes the former Llanwern steelworks, now the site of the major Glan Llyn revelopment project, the commuter village of Magor and the town of Caldicot. Politics: Newport was a single safe Labour seat until 1983, when it was split into East and West divisions along the line of the River Usk. Newport East has remained Labour since then, its former MPs including the Conservative defector Alan Howarth (who faced a challenge from Arthur Scargill when he first contested the seat, but was returned with ease). In recent years it has not been entirely safe though, the Liberal Democrat made major advances in both 2005 and 2010 and while they collapsed to fourth place in 2015 Labour managed a majority of less than five thousand over the Tories. JESSICA MORDEN (Labour) Born 1968, Surrey. Educated at Croesyceiliog School and Birmingham University. Former General Secretary of the Welsh Labour Party. First elected as MP for Newport East in 2005. JESSICA MORDEN (Labour) See above. 2010 Tory PPC here Dawn Parry has today said that Tory HQ are, “too controlling” and that she’ll stand as an Independent PPC next time. there goes yet another deposit then. Interesting how sharp the drop for labour since 1992 has been here. Is it just me or does Jessica Morden seem to be a very quiet MP? I’ve only heard her speak once during PMQ’s to ask Brown a question when he was PM. I’ve never seen or heard of her on TV or radio at any other time!! Christian I find it a bit strange that you judge your MP on how many times you’ve seen them on TV or heard them on the radio?!? In the grand scheme of things there are plenty of motormouth politicians who talk for the sake of it. 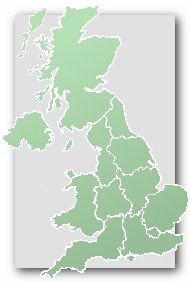 If you’re really interested in what your MP does then visit http://www.theyworkforyou.com/ . For what it’s worth Mrs Morden has in my view done a good job for Newport East – she’s helped a lot of people I know solve problems, and is always available. The fact that she gets things done but doesn’t go around blowing her own trumpet should be to her credit not her detriment. Labour hold. 7,000 majority. Tories may take 2nd. Just noticed the Tories are now closer to winning this seat than they’ve been since 1983. Just 13.4% behind. A good result considering they were third in 2010. I wonder if the Tories are entertaining any thoughts of winning seats like this at the Welsh Assembly on that back of a continued leakage of Labour votes to UKIP. Personally I feel the Tories are getting pretty close to their ceiling in Wales, at least until such a time as there is a Scotland-esque political realignment in the region. The long-term growth regions, if there are any, are probably the Plaid heartlands of the north. In Scotland we are already seeing “Tartan Tory” regions – socially conservative areas which have voted SNP for a long time – drifting back towards the real Tories as the SNP isn’t Tory enough for them any more. Perhaps a similar phenomenon could take place in Wales. I think your getting a lil bit overexcited Maxim, the Tories are in with a shout of Newport West but East is probably beyond their reach. At the risk of sounding like a broken record its again a case of Lab weakness rathr than Tory strength here with UKIP hitting Lab hard in the estates and thus making their majority seem deceptively small. Even so a majority of 13% in a year like 2015 is not to be sniffed at. This seat will likely never be in the Liverpool Walton league but if Lab can see off UKIP here they shouldn’t be in any real difficulty. Remember the Tories are only up 6 points on their nadir in 97 and even on a really good day I think they’d struggle to get above 35% here and while that MIGHT win them this seat it probably wouldn’t if Lab succeeded in dealing with UKIP like I mentioned earlier. One of the few times I’d root for the Tories, I’d love to see Swinney decapitated in Perthshire. Your comments on here yesterday – esp 7.15p.m. one – make a lot of sense as a general hypothesis. And on this seat specifically, as Andy JS points out the Tories were 3rd in 2010 so I believe their 2015 result is a bit artificially low. Definitely on the radar if the Tories are looking like increasing their majority nationally at the next GE. Such an outcome would guarantee the Tories would never pass a boundary review that included seat reductions and such a rigid quota. Tory HQ must be kinda irritated that of all the places they over performed in 2015 they over performed in Wales where the BR axe will fall the heaviest. Maxim, with respect you need to get your head checked. Labour are weakening in Wales but they’re mostly losing votes in seats where they have towering majorities. They seem pretty resilient in the marginals (most of which are not even that marginal) judging by the assembly elections. Maybe the Tories will hold these seats in a generation when the electoral landscape is radically different. But next GE, really? That article is let down by stupid errors. Notably, how could a 38 year old have left school at 14. I’m not sure there is a parallel to be made with the Scottish Tories of the 1950s. Though the Tories did sometimes win the most votes and seats in Scotland, for the last time in 1955, Scotland was never deeply Tory. Labour and the Cons were well matched through the 1950s and Labour had previously been relatively strong in Scotland pre-war, notably in 1923 and 1929. In contrast Labour have completely dominated elections in Wales throughout the post-war period. Between 1945 and relatively recently in the valleys Labour voting could be characterised as something of a religion. I do agree Labour’s position is weakening in Wales, and that a May v Corbyn election (+ the boundary review) could be what turns that from a relatively slow decline in the context of Labour still being well ahead in Wales into substantial seat losses. That New Statesman article suggests that UKIP is the threat. But as there is no realistic prospect of UKIP winning FPTP seats themselves their existence, by keeping the opposition divided three ways, probably actually helps Labour a bit. What is really dangerous for Labour – and which is certainly conceivable – is if ex-Labour voters who voted UKIP in 2015/2016 go Tory in 2020.